Courtesy of Don Wiles, Carlisle’s Michael J, and the good folks at militaryhistoryonline.com, I present a few photographs of the old Civil War diorama that once graced the Dobbin House on the south side of Gettysburg, Pennsylvania. Pictured is a scene of Pickett’s Charge as Rebels slam into the Union II Corps line. Figures are 54mm from various makers. 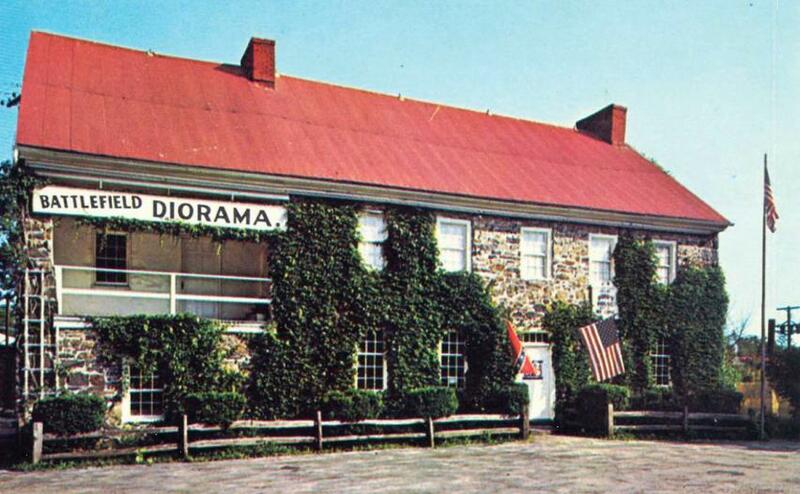 The diorama was in its heyday during the 1960s when it was a relatively popular attraction. Curvin Heiss was the building’s owner during that time frame, and it housed a museum and gift shop. I remember riding by the Dobbin House during my first visit to Gettysburg in 1968, seeing the large banner hanging from the second story advertising the diorama, and wishing we had the time to stop and see it (we were on a tight schedule, but my Dad bought me a nice box of 54mm Britains “Eyes Right” ACW figures so I could play toy soldiers on the ride to Hershey). Bigelow’s Battery in the chaos near the Peach Orchard during the second day of the Battle of Gettysburg. 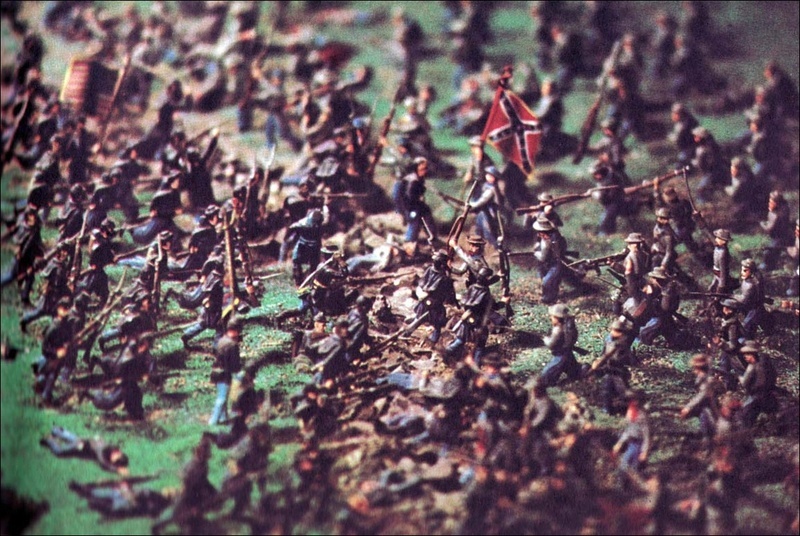 Zook’s Brigade engages Kershaw’s South Carolinians in the background. I know dioramist and Gettysburg buff Dennis Morris from a message board we both have frequented in the past, www.militaryhistoryonline.com, which is among the oldest of these cyberspace Civil War communities. Dennis was kind enough to send me a few photos to be used in the upcoming Brother Against Brother gaming scenario book, Brothers Divided, that Ivor Janci and I are co-authoring. I had previously shared some of his work with Charge! blog readers in an earlier post. 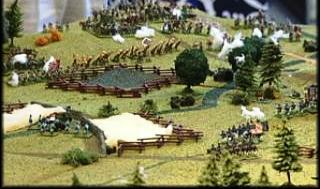 Here are a few more shots of Dennis’s very impressive Gettysburg diorama, which has become his labor of love. 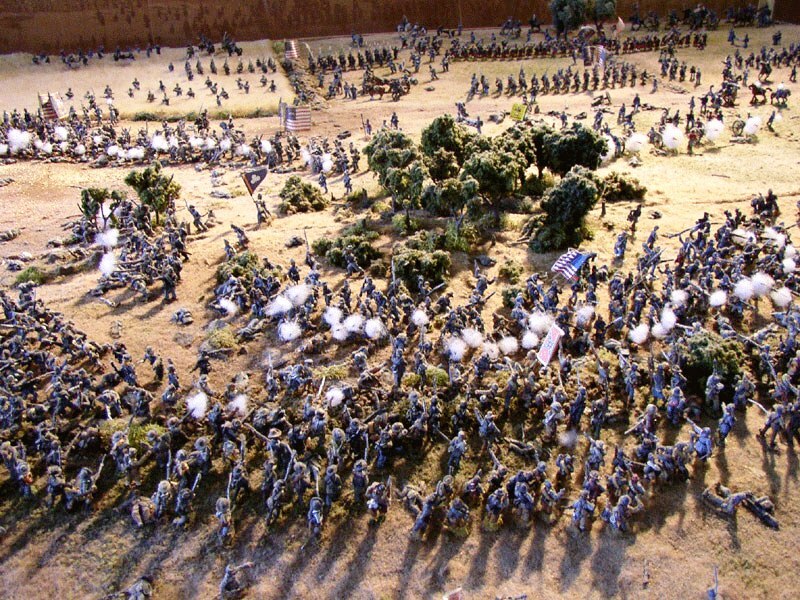 Channel 10 TV (WTSB, Tampas10.com) has a recent article and photo posted on their website about a Civil War display in a local art gallery, Nuances Galleries. 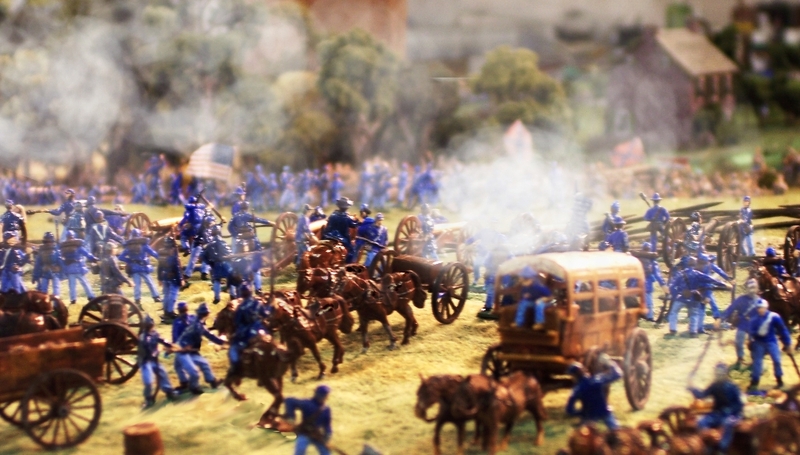 For several of the past nine years, gallery owner Robert Rowan has exhibited hand-built dioramas as a way of teaching kids about history in a visual setting. Gettysburg author and researcher Jay Jorgensen has written a very complimentary review of Volume 2 of my Human Interest Stories from the Gettysburg Campaign. It can be read here. Thanks, Jay!